This year, the World Quizzing Championships will take place on Saturday 2 June 2018. The event is open to anyone who’d like to give it a go: details for how to sign up to take part are here. The World Quizzing Championships itself is a written test that is sat simultaneously around the world. It consists of 240 questions across a wide variety of subjects and is available in a number of languages. Setting the questions for the World Quizzing Championships is an enormous and very complicated task. 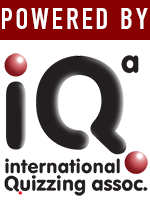 Writing questions that are equally accessible to people anywhere in the world takes a lot of skill and the International Quizzing Association’s (IQA) team has many years experience in doing it. Chris Jones (IQA GB), Steven De Ceuster (IQA Belgium), Arko Olesk (IQA Estonia), Anurakshat Gupta (IQA India), Leslie Gelman (IQA USA) and Paul Paquet (IQA Canada) set the questions, while Jane Allen (IQA GB) runs the verifying team and co-ordinates the translations. This year around 1,500 questions have been written of which only 240 will be selected. The IQA has a complicated matrix of questions that are required to ensure that all of the subjects are covered and that each region is fairly represented. Unlike a physical sport where you can level a track to make it fair, setting these questions is not an exact science. It takes great skill, care and experience to get it right. Once the questions have been written, they go out to a wider panel of judges from all over the world for scoring and verifying. Then, the top scoring questions in each section make it through to the final selection. This year, the World Quizzing Championships questions will be available in 14 languages: Bulgarian, Croatian, Dutch, English, Estonian, Finnish, French, German, Hungarian, Japanese, Latvian, Lithuanian, Norwegian and Russian. The whole process takes approximately nine months and is a real labour of love.